School provides full wrap around care for children aged 2 to 11 years, five days a week. The Morning Merlins begin at 8am and they are offered a range of cereals/porridge, toast/bagels, yoghurts and a drink. After breakfast, they have a variety of games to play until school begins. The cost of these sessions is £4.00 per child. If siblings attend, then the first child is charged at £4.00 whilst subsequent children are charged at £3.00 each. When school finishes, the Afternoon Merlins are met in the school hall. The Afternoon Merlins have the opportunity to play with their friends, be creative - taking part in craft activities or play outside. They will be provided with a high tea, for example jacket potato, pizza, soup etc. On occasion, the children will be able to help with the making of this. They especially enjoy making and eating their own pizza creations!. These sessions cost £10.00 per child and run until 5.30pm. Whilst all our Merlins will eat together, creating that lovely family atmosphere we pride ourselves on, our Eaglets will return to their nursery classroom for these sessions. To book either of these, please complete the booking form, which can be found in the foyer of school or attached to this page, then send this into Mrs Mills in the office. Payment for these sessions should be made through ParentPay. 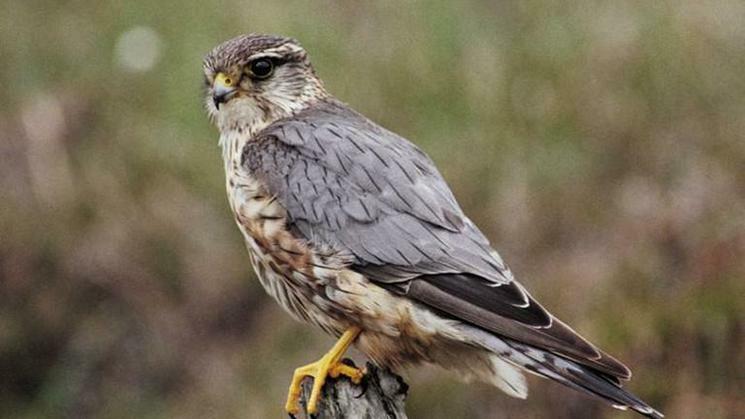 The Merlin is the UK's smallest bird of prey. Its small size lets it to hover and hang in the breeze as it chases its prey. They can be seen all year round in almost any open country but are often found near coasts. They can be found in reed beds, bogs and on heaths. They eat mainly small birds.